When I look down at my maternal body, I see a white line running from one side to the other. I feel the ache in my left hip where my tendon shredded during labor. I see the stretch marks, the loose skin, and the broken veins. I see scars. Our culture tends to have a contradictory view of motherhood. On the one hand, moms are saints, pregnancy is beautiful, and childbirth is the miraculous epitome of love, joy, and hope. On the other hand, pregnancy is viewed as a freedom-curtailing curse, labor is avoidable via abortion, and children are a means by which women are oppressed by men. Both of these views are damaging to women, and wildly unbiblical. Yes, sexism is real. Yes, motherhood is glorious, mundane, fulfilling, and agonizing all at the same time. So how do we, as Christians, handle the dichotomous beauty and trauma of childbearing? It’s helpful to look at the three predominant childbirth metaphors used throughout Scripture to help us understand how God views pregnancy and labor. Once we understand how our Creator views these things, we can grasp at how the created should too. Just as a woman endures pregnancy and labor to give her children physical life, so Christ labored and agonized to give his children spiritual life. Even after Jesus rose from the dead he had scars. In his resurrected state, he bore the white gash of a spear in his side and gaping holes from nine-inch nails in his hands and feet. 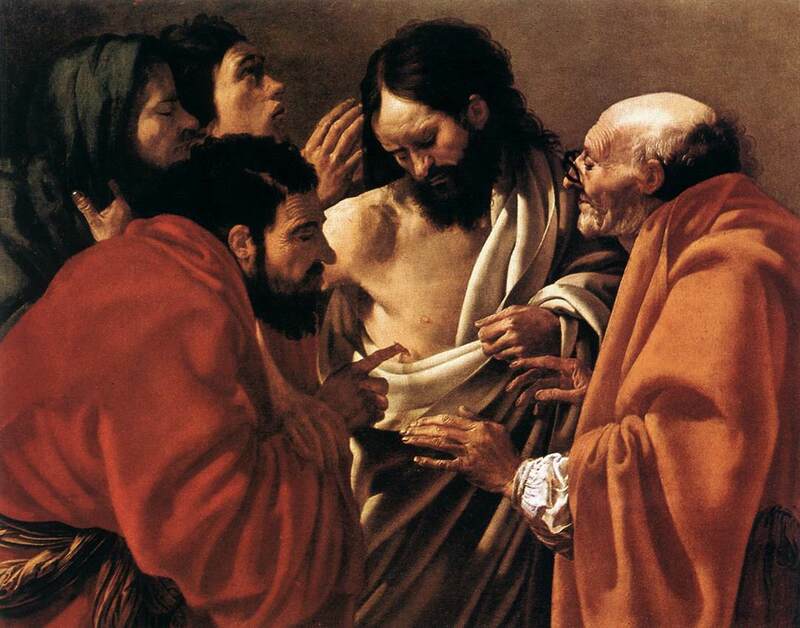 The Holy Spirit healed Jesus but did not erase the evidence of his sacrifice. Why? Because scars are important. The marks of suffering mean something. They are irrefutable proof that love is more powerful than pain and death. They are signs of new life. Many times, the Church is compared to a woman in labor; suffering, straining, and eagerly awaiting the love and rest she anticipates after delivery. In Revelation 12:2-6, John poetically describes the Old Testament Church, Israel, as a woman in labor with the Savior of the world while being stalked by Satan, the dragon. She was pregnant and was crying out in birth pains and the agony of giving birth. … And the dragon stood before the woman who was about to give birth, so that when she bore her child he might devour it. She gave birth to a male child, one who is to rule all the nations with a rod of iron, but her child was caught up to God and to his throne, and the woman fled into the wilderness … . While Christ spiritually delivers us, Mary literally delivered Christ. Eve and Sarah are also said to have been “saved through childbearing” (1 Timothy 2:15), not because pregnancy or childbirth is salvific, but because their lineage – the DNA in their wombs – brought into being the God-Man Savior of the entire world. They biologically delivered Christ, and Christ spiritually delivered them from death. It’s a fun little play on words, as well as a glorious picture of the role women play in redemption. While Eve, Rachel, Sarah, and all the other women of Jesus’ lineage physically delivered Christ, once he was born, we know that Satan – that dragon of old – tried multiple times to “devour” him. First, Herod had all the male babies and toddlers murdered (Matthew 2:13-18), but Mary and Joseph fled with baby Jesus to Egypt. The Pharisees and Jewish leaders plotted to kill Jesus for years (Matthew 27), until finally, when Judas betrayed Jesus, they succeeded. Imagine the shock Satan must have felt, after gleefully watching the Son of God crucified, to see him defy death, rise again, and be “caught up to God and his throne.” Now, like Israel, newly freed from our slavery to sin, the Bride of Christ wanders in the wilderness on our journey toward the Promised Land of Heaven. For we know that the whole creation has been groaning together in the pains of childbirth until now. And not only the creation, but we ourselves, who have the firstfruits of the Spirit, groan inwardly as we wait eagerly for adoption to sonship, the redemption of our bodies. Just as Israel and all of nature longed and groaned for the birth of Christ for thousands of years, so we – the New Israel and New Testament Church – now suffer and groan as we eagerly await the Second Coming of Christ, or our birth into Heaven. The third metaphor God uses is less hopeful. However, it demonstrates how well God understands the agony and trauma mothers endure. In Isaiah 13:8 the prophet compares the infliction of the wrath of God to the agony of a woman in labor, saying, “They will be dismayed: pangs and agony will seize them; they will be in anguish like a woman in labor. They will look aghast at one another; their faces will be aflame.” But of course, the wicked will have no hope of love or rest when Christ finally judges the world. Their labor will be never-ending and futile. Like Thomas, our children and husbands can look at our scars; our stretch-marks, warbly bellies, and love-torn figures, and marvel at the power of Christlike self-sacrifice. As our husbands care for us, treasure us, and sacrifice their time and energy laboring to provide for us, we also can witness Christ’s love through them. As husband and wife, we mirror Christ to one another; the father in his way and the mother in her way, and the childless husband and wife in their own glorious way too. Like Adam and Eve, we are poignant pictures of a love that will one day be perfected in the Eden of Heaven. So now, the man and the woman are clothed in Christ’s righteousness, and we should not be ashamed (Genesis 2:25). 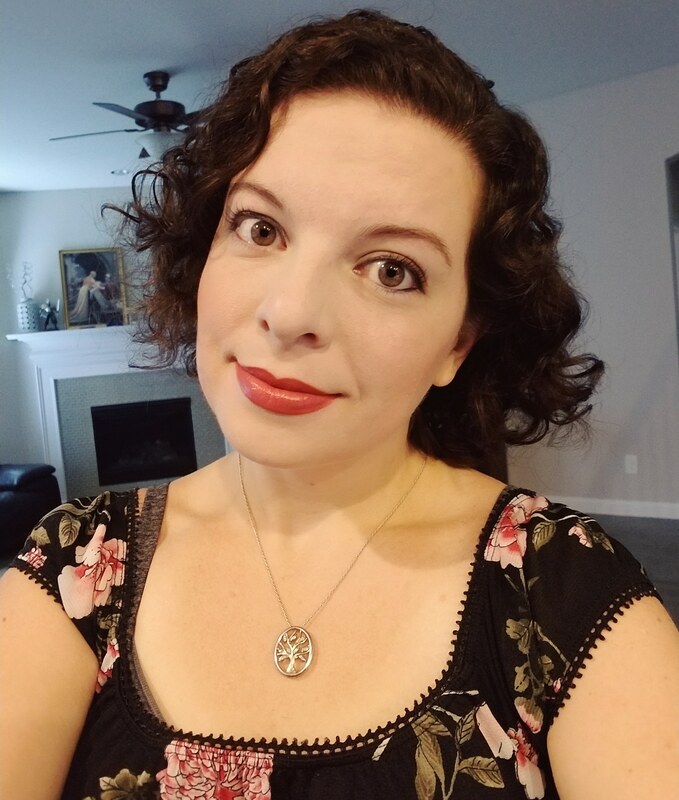 Jennifer Michelle Greenberg is a recording artist, writer, and homeschool mom who will be publishing her debut book on abuse recovery with The Good Book Company. You can read more of her writing and hear her music at www.JenniferGreenberg.net. You can also find her on Twitter, Facebook, YouTube and Instagram. This entry was posted in Uncategorized and tagged God's glory, Jennifer Michelle Greenberg, pregnancy, resurrection, scars. Bookmark the permalink. And in an Age of Polarization like today, you have to be all one or all the other. Yes. Our culture is polarized in so many ways, and any one person may hold so many contradictory views, we wind up feeling confused and overwhelmed because we haven’t thought through our ideas to ensure that they’re logical and consistent. Of course, knowing something in your head to the point that it manifests as confidence in your emotions is also a process. This is just beautiful, Jennifer. I love the point you made about how the resurrected Jesus still bore his scars and bears them even now. And as a mom I appreciate your acknowledgement of the (to quote Glennon Doyle) “brutiful” scars we carry from our pregnancies and delivery of our babies. Thank you Jeannie! Yes, our God is not ashamed of his scars, so we should not be either. There is so much freedom in Christ!